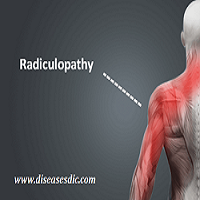 Radial Tunnel Syndrome, also known as Radial Nerve Entrapment, is a condition that occurs when the radial nerve that runs beside the bones and muscle of the forearm and elbow becomes compressed. The increased pressure on the radial nerve can cause pain in the lateral aspect of the elbow, and down the forearm and into the hand. It can also result in a tingling sensation in the forearm and hand. Weakness in the forearm and wrist are also characteristic symptoms of Radial Tunnel Syndrome. While this condition is usually caused by repetitive, forceful motion such as pushing or pulling or twisting with the hand, in some cases direct injury to the outside of the elbow can also cause Radial Tunnel Syndrome. The radial nerve pierces the lateral intermuscular septum and divides into a deep branch (Posterior interosseous nerve, PIN) and superficial branch (superficial radial nerve) within 3 cm of the elbow joint. The posterior interosseous nerve courses along the radial tunnel, extending approximately 5 cm from the radio-capitellar joint to the inferior edge of supinator muscle and later gives off the muscular branches. It is laterally bounded by the brachioradialis, extensor carpi radialis longus, and extensor carpi radialis brevis and medially by the brachialis and biceps tendon. The floor is formed by the radio-capitellar joint capsule and the deep portion of the supinator. The point where the posterior interosseous nerve passes deep to the superficial head of the supinator is accepted as the distal margin of the radial tunnel. Apart from Arcade of Frohse, there are other sites of compression of PIN along with the radial tunnel such as Leash of Henry, Fibrous edge of ECRB, Lateral elbow joint in the radial head, and the distal edge of supinator. You have had tennis elbow that does not respond to management. When you have radial tunnel syndrome, you typically get pain with gripping activities, using a mouse and activities where you have to push down while gripping, such as cutting vegetables. The pain can often be reduced by pulling your shoulders back, as this can change the way the nerve behaves. Unlike tennis elbow, which has similar symptoms and aggravating activities, radial tunnel syndrome does not give you tenderness on the outer tip of the elbow. Instead, there is usually a locally tender spot about three to four finger widths closer to the wrist. Diffused pain in the forearm and hand: Radial tunnel syndrome causes unbearable pain in the forearm. The pain is centered few inches below your elbow joint where the radial nerve travels below the supinator (A muscle that assists in supination). The pain worsens when you try to extend or straighten your wrist and fingers. Decreased forearm strength: Radial tunnel syndrome may cause a dull pain or weakness in the muscles of the forearm. Nerve pressure inside the radial tunnel leads to fatigue in the muscles on the back of the forearm and wrist, thereby making it difficult to steady the wrist when grasping and lifting. Outer (lateral) elbow soreness: Pain from radial tunnel syndrome often starts near the bony point on the outside of your elbow joint (lateral epicondyle). The pain worsens when you bend your wrist backward, turn your palm upward, or hold something with a stiff wrist or straightened elbow. In tennis elbow, the pain begins where the tendon attaches to the lateral epicondyle and in radial tunnel syndrome, the pain is centered about two inches further down the arm, over the spot where the radial nerve goes under the supinator muscle. 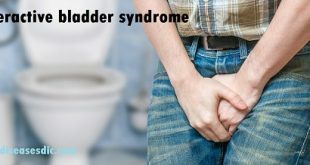 How RTS can be diagnosed? Magnetic Resonance Imaging is often not able to determine the level to which the nerve is being irritated or compressed. Again, may be beneficial in excluding competing hypotheses. You may do some tests of the radial nerve. An electromyogram (EMG) tests to see if the muscles of the forearm are working properly. If the test shows a problem with the muscles, it may be caused by a problem with the radial nerve. The nerve conduction velocity (NCV) test measures the speed of an electrical impulse as it travels along the radial nerve. If the speed is too slow, then the nerve is probably pinched. The goal of treatment is relieving your pain so you can get back to your daily tasks. Your treatment will be based on your symptoms and the results of the examination and any tests. Rest: The most effective way to treat RTS is to avoid repetitive motion that caused the condition in the first place. Be it recreational activity or work, you need to take frequent breaks or modify your work duties. Brace: Using a wrist brace or splint to reduce movement in the forearm. Ice treatment: Applying ice for about 10-15 minutes every 2 to 3 hours, especially during the onset of symptoms helps diminish swelling. 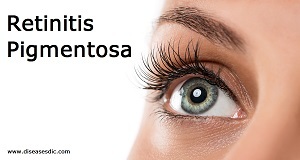 It constricts blood flow in the broken capillaries. Heat therapy is sometimes used prior physical therapy to help relax and make your muscles more flexible. Physical Therapy: Self-directed nerve gliding exercises can help loosen a compressed area in the radial tunnel and pull the nerve free of obstruction. Other nonsurgical treatments may include steroid injections, physical therapy, ultrasound massage, and changes in activity. If nonsurgical treatments do not help, surgery may be recommended to reduce or remove the compression on the nerve. When conservative treatments have not worked, surgery may be the best treatment option. Soft tissues are gently moved aside so the surgeon can check where the radial nerve is being squeezed within the radial tunnel. The nerve can be pinched in many spots, so it is important to check all areas potentially causing problems. Any parts of the tunnel pinching the nerve are cut, expanding the tunnel and relieving pressure on the nerve. At the end of the procedure, the skin is stitched together. Radial tunnel surgery can usually be done as an outpatient. Surgery can be done using a general anesthetic, which puts you to sleep, or a regional anesthetic. A regional anesthetic blocks nerves in only one part of your body. You’ll most likely begin your Physical Therapy program about a week after surgery, with active forearm range-of-motion exercises. Our Physical Therapists also use ice packs, soft-tissue massage, and hands-on stretching to improve range of motion. When the stitches are removed, you may start carefully strengthening your hand and forearm by squeezing and stretching special putty. Moreover, your doctors may also recommend the use of isometric exercises to improve forearm and hand strength without straining the tissues near the radial tunnel. How to prevent the RTS? Next Lymphedema – Causes, Symptoms, and Prevention. 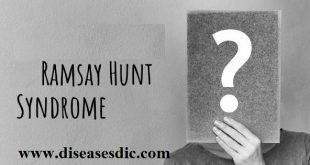 Ramsay Hunts Syndrome – Description, Complications, and Treatment. Tourette’s syndrome – Risk factors, Complications, and Treatment. its impressive,I really got it clear but I’m not commonly having injury before im experience it, it all started since when I was like 8years, it seems I was born with it, can it be inherited? people had been calling it rheumatism but during my research.. rheumatoid is totally different from what Im experience,this RTS of a thing its exactly happened to me. thanks.